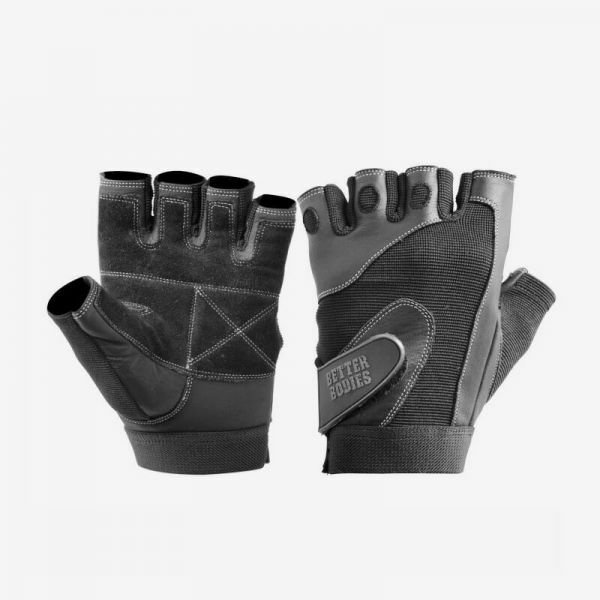 Pro Lifting Gloves are professional weightlifting gloves for athletes who doesn’t settle with anything but the best. They feature a reinforced double leather palm with foam padding for a good grip and durability. A flexible mesh fabric has been placed on the back of the hand, on the thumb and between the fingers for a good breathability during rough workouts. The cool half finger design makes sure that you get an exceptional contact against all gym equipment. Equipped with multiflex elastic mesh – good breathability! Weiterführende Links zu "Better Bodies - Pro Lifting Gloves, schwarz"
Kundenbewertungen für "Better Bodies - Pro Lifting Gloves, schwarz"